Engine details/gearing and fuel type: diesel, 420 hp, gearbox: automatic, transmission: - Boîte de vitesses MANTipMatic ®12 26 DD Logiciel de boîte de vitesses MAN TipMatic® (exploitation routière), power take-off, ASR. 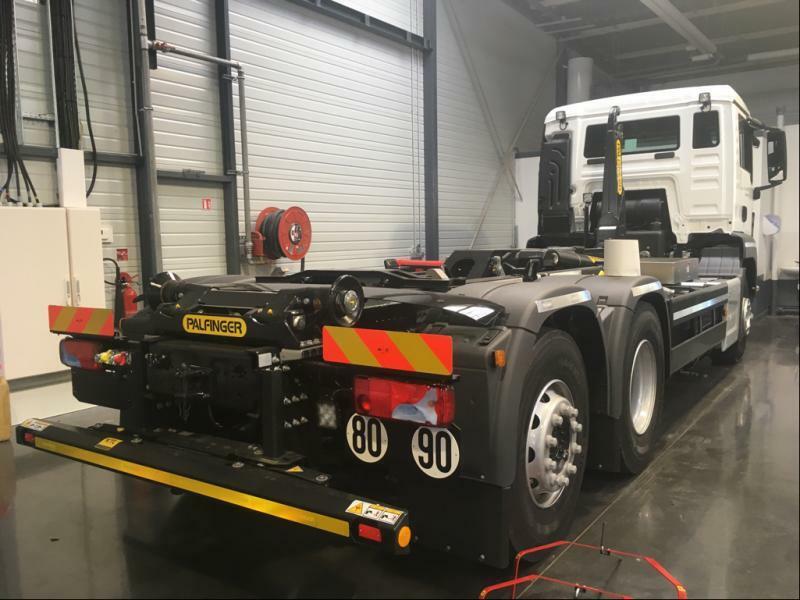 Chassis configuration: suspension: air, 6x2, lift axle, ABS, ESP - electronic stability control, semitrailer brake, rear tires: - Pneus 315/80R22,5 Continental sans roue de secours, fuel tank: AdBlue: 60litres. Cab design: air conditioner, cruise control, power steering, bluetooth, navigation system, board computer. The vehicle’s dimensions are as follows: length – 8300, width – 2550, height – . The mileage is 620 km.